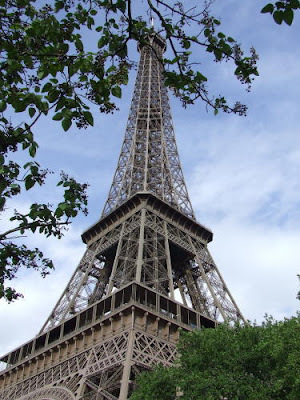 and a spectacular view of La Tour de Eiffel (via Google image search)... soooo wonderful to have DREAMS! Andddd my dream vanity is part of a couple parties... Tabletops Tuesday and Travel Tuesday... be sure to visit other participants! Oui... today is my birthday! See you tomorrow Outdoors in Paris!!! You don't look a day over 20 for sure. 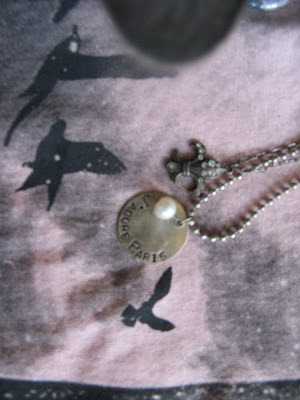 I love the necklaces, they are both precious and I can see you now in that tee. So cute. Sitting in your hotel room, gazing out at the Eifel Tower with your glass of champagne toasting to the next 20. Many, many more Pink ones to come. Thank you for sharing with me. I so love your virtual tour. I am so tickled that you included me. 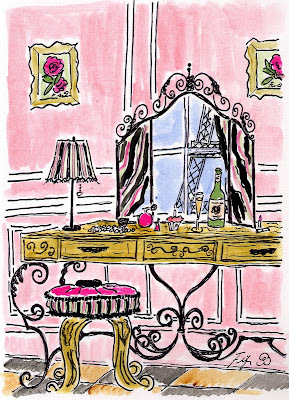 Love that vanity, just add a few more pink cupcakes for me and I'll be right over. Happy Birthday Fifi. You are the best and we both love the same champagne! Happy Birthday, Fifi!! Everything you've chosen for your birthday celebration is perfect... a great way to honour your special day!! We have a giveaway going on at DesignTies...maybe if you enter we can give you an actual birthday gift!! Hope to see you there!! What a fantastic birthday plan! Happy Birthday Fifi! Hope you have a wonderful day! Happy bithday Fifi! I wish I had checked in sooner. I must send you a virtual French birthday gift in the AM from the Paris Las Vegas. 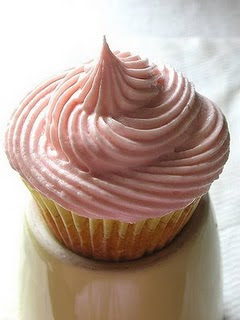 Thanks for the pink cupcake shoutout. I'm flattered. Well happy birthday to you. I do hope you have a super time. enjoy your day. Happy Birthday, Fifi! Have a great day. Love the painting of the vanity. Oh, Fifi, 25 years ago today the entire world changed and became a better place! Happy Birthday to the best BFF ever! I think a trip is in order so that we can propery celebrate this important event. Really, Fifi, we must travel soon! Things are getting a bit..complicated here and I do think some R&R as well as many champagne toasts will restore me to my lovely sunny disposition. Do let me know when to send the Leer around. Petunia who will raise a glass of something lovely to your mother today because without her I would not have you! Happy Birthday, Fifi!! Enjoy your day! oh wow wow wow, happy birthday!! 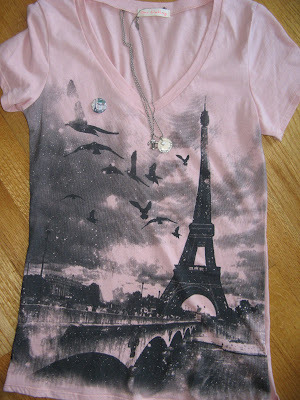 How wonderful to be able to transport yourself to Paris this way! Happy Birthday, Dear Fifiness! Oh, you are a true Parisian at heart! Love your art! I always enjoy going on your "virtual trips" with you! Beautiful painting of the vanity! Happy, happy birthday Fifi! Make it a great one! And when you are finished celebrating, please stop by my blog as I have a small "gift" for you! Happy Birthday may it be as colorful and light as your art, enjoy! Have a fabulous day, drinking champagne with the beautiful view out your window. May all of your Parisian dreams come true! Oh I'm a little late -- but wishing you a most wonderful birthday, birthday week, birthday month, and birthday year! May it all the the most fantastic yet!